A cappella gospel -Tony has led ten gospel tours to the USA to participate in the African American church tradition. He has run vocal workshops in New Zealand, Australia, the UK, USA, Canada, France, Italy, Fiji and Samoa. 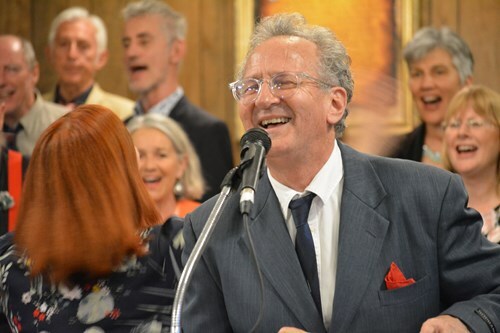 Tony works with the passionate and exciting African-American repertoire, focusing on spirituals, gospel songs old and new, choral and quartet styles, and embracing South African church songs, and maybe even some doo-wop, or R&B and pop. The emphasis is on harmony, collective improvisation and freedom of expression. No music-reading skills are required, and you may record the sessions. It is optimal to be at all three sessions, as we will build on the repertoire each day. Friday 12 April 7pm-9pm, Saturday 13 April 10am-3pm and Sunday, 14 April 10am-3pm. ** Please bring your own water bottle and 'keep cup' if you have one. MORNING TEA - Tea & snacks will be supplied. A good coffee can be found in a number of cafes in the neighbourhood. Alternatively the Wayside Chapel is centrally located in Kings Cross and Potts Point, where there are plenty of food outlets and supermarkets.